Special Concert honoring Jose Marti. 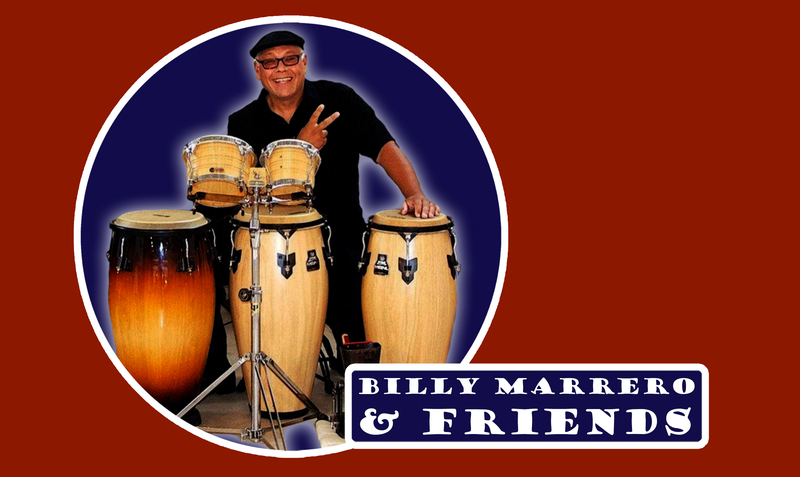 Musical Director and percussionist Billy Marrero and his friends take us on a musical journey as we rediscover some of Cuba’s greatest songs in honor of Cuban national hero and beloved poet José Julián Martí Pérez. Marti was a Cuban poet, essayist, journalist, translator, professor, and publisher, who is considered a national hero and an important figure in Latin American literature. After his death, one of his poems from the book, “Versos Sencillos” (Simple Verses) was adapted to the song “Guantanamera”, which has become the definitive patriotic song of Cuba. This Event forms part of the 4th Annual El Quixote Festival – José Martí produced by Artist Studio Project. was a Cuban poet, essayist, journalist, translator, professor, and publisher, who is considered a national hero and an important figure in Latin American literature. He was very politically active, and is considered an important revolutionary philosopher and political theorist. Through his writings and political activity, he became a symbol of Cuba’s bid for independence against Spain in the 19th century, and is referred to as the “Apostle of Cuban Independence.”. From adolescence, he dedicated his life to the promotion of liberty, political independence for Cuba, and intellectual independence for all Spanish Americans; his death was used as a cry for Cuban independence from Spain by both the Cuban revolutionaries and those Cubans previously reluctant to start a revolt. Martí is considered one of the great turn-of-the-century Latin American intellectuals. His written works include a series of poems, essays, letters, lectures, novel, and a children’s magazine. He wrote for numerous Latin American and American newspapers; he also founded a number of newspapers. His newspaper Patria was an important instrument in his campaign for Cuban independence. After his death, one of his poems from the book, “Versos Sencillos” (Simple Verses) was adapted to the song “Guantanamera”, which has become the definitive patriotic song of Cuba.